When your Geo Metro needs parts than we are the fastest and cheapest place to turn to. 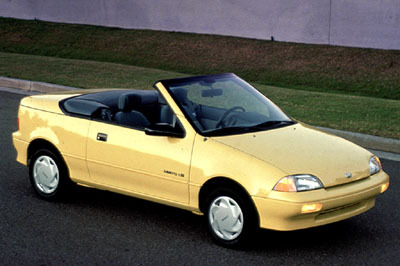 Through UNAP's exclusive parts supplies, you can locate tons of used geo metro parts. Our part requesting service can help you locate geo metro auto parts and geo metro car parts online with a few clicks of your mouse. UNAP will search our hundreds of used part dealers to locate the geo metro parts you are searching for. The service is so easy and simple, fast and free. We have everything from geo metro engines to geo metro cylinder heads, and even geo metro body parts! To find the geo metro parts you are looking for please select your year and make on the form above and click next step.